Historic flooding caused $50 million in private property damage and $23 million in public property damage. 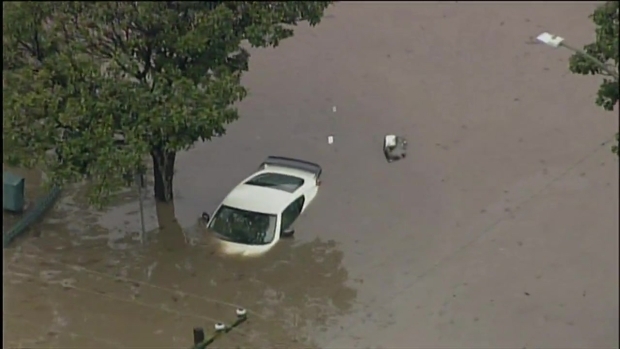 Flooding victims have received nearly $1 million in donations. Residents who had their cars towed during flooding should call 408-277-4263. Vehicle owners will not be charged tow fees. 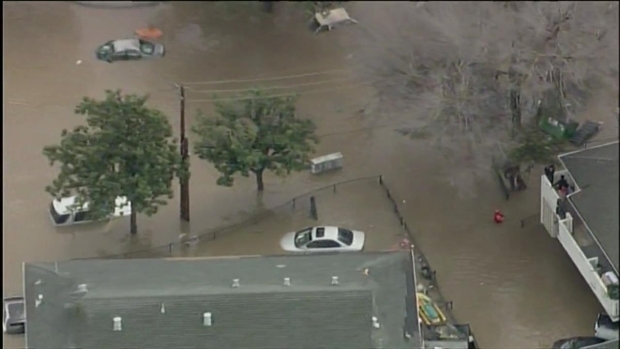 Nearly one week since historic flooding overwhelmed several San Jose neighborhoods and uprooted households, the South Bay city on Monday announced the flooding caused $50 million in private property damage and $23 million in public property damage. The dollar amount will be presented to state and federal officials as San Jose seeks disaster relief funds. Officials on Monday also said the city has received $939,000 in donations for flooding victims. Officials also said 479 homes remain yellow-tagged, which means the building is accessible, but not livable. Three homes remain red-tagged, including the one where the Rocha family lived. Marcos Rocha and his family were rushing to remove furniture Monday. "We're trying to get out as soon as possible," he said. "They say the bottom of the house might collapse, so we're not trying to be here long." NBC Bay Area's Rick Boone chats with San Jose Mayor Sam Liccardo about the historic flooding that uprooted thousands of people. Meanwhile, the cleanup effort in San Jose continued Monday as residents collected previously soaked belongings, tossed damaged furniture into dumpsters, and hosed away mud six days after high-rising waters submerged cars and flooded several neighborhoods. Flood victim Tien Hoang is among those busy trying to get back on their feet. "I don't feel well," she said. "I am stressed. I don't sleep." Brandon Alvarado, a studetn at San Jose State, said he hasn't had time to do any classwork, but his teachers are understanding. Alvarado received a $500 check from the university's philanthropic tower foundation. "It’s life-changing," said Alvarado, who plans to use the money on a deposit for a new apartment near campus. "It allows me to stay in school and not have to drop out." 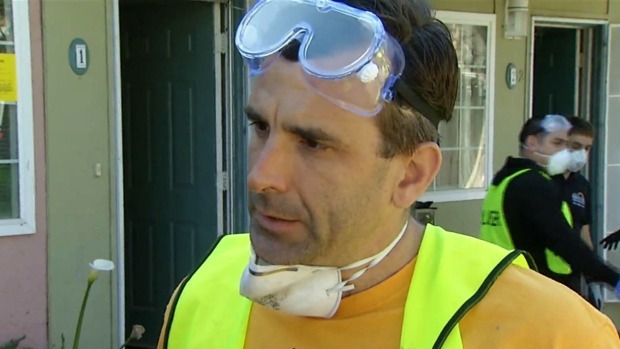 San Jose Mayor Sam Liccardo, who last week said more could have been done to prevent such a calamity from happening, once again rolled up his sleeves on Sunday and assisted in the cleanup effort. "We're making progress in that we're helping families get back on their feet by getting rid of whatever is damaged in this flood," he said Sunday. 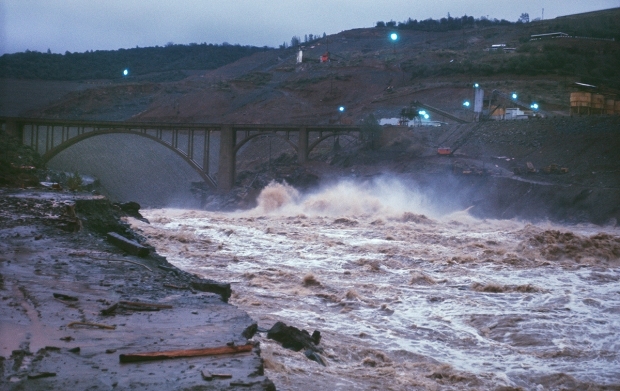 Some people in the flood zones have been required to wear protective glasses and masks to safeguard against harmful bacteria that might be in the air as a result of the flooding, which spewed contaminated water carrying gasoline, oil, sewage, chemicals and other debris into various neighborhoods along Coyote Creek. For those still unable to enter their damaged homes, an assistance center has been opened at the Shirakawa Community Center on Lucretia Avenue. The center, which is offering a number of services to help flood victims, will be open from 8 a.m. until 6 p.m. on weekdays and 9 a.m. until 4 p.m. on weekends. The center will provide answers to questions surrounding social services, housing services, vehicle repair and replacement, insurance issues, and more through March 4. Some families wishing to rebuild told NBC Bay Area that they received mixed messages from city officials at the assistance center about receiving money for housing vouchers and building permits. Liccardo cleared up those concerns Sunday by saying those fees will be waived. "We are very clear that we are waiving all permit and inspection fees for anything having to do with getting families back in their homes," he said. "The (city) council will validate that action retroactively. For now, we're simply waiving the fees." The total of 479 households still yellow-tagged Monday was down from 1,335 on Sunday. Flood evacuees who found overnight refuge at James Lick High School were forced to move Sunday before school started on Monday. A new shelter has been set up at the Seven Trees Community Center. Shelters will eventually be forced to close their doors, but Liccardo on Sunday said housing and hotel vouchers will be issued to those still impacted by the floods when that day comes. "In the meantime, we are planning with how we are going to deal with those many families who will be displaced for a longer period of time because we know that some of these apartments are going to be yellow-tagged and even red-tagged," he said. "That's going to take time to get them back in." As for the money that has been donated to the San Jose Flood Victims Relief Fund, it will be distributed this week to nonprofits who will then pass along the funds to flood victims, according to Liccardo. But those funds won't cover all the costs that come with repairing a battered city. "Obviously there is not enough money in that fund to take care of the extraordinary need we have here," Liccardo said Sunday. "We're certainly going to the state and to the (federal government) as well and we're going to have to keep fundraising." Officials don't know when state or federal funds will be available, but they want everyone affected to register with the city so they can be contacted. Rocha hopes help comes sooner than later. "I wasn't expecting none of this to happen," he said. The need to clean up the city has put an in-depth investigation into how runoff from the Anderson Reservoir and rainfall inundated neighborhoods with several feet of water on the back burner. Before that examination can be thoroughly undertaken, Liccardo accepts the blame. "There's been a failure," he said Sunday. "I've said repeatedly, if it happened in my city, I'm responsible. So let's end the bureucratic fingerpointing. Let's figure out what we need to do to fix this and make sure for the next three months — we got more rain coming — we don't want to see this happen again. We are going to focus on fixing it as we're getting families back in their homes." Aside from pinpointing the cause of the destruction, future discussions among city leaders will focus on how to improve San Jose's emergency notification system and install better flood protection structures along Coyote Creek.